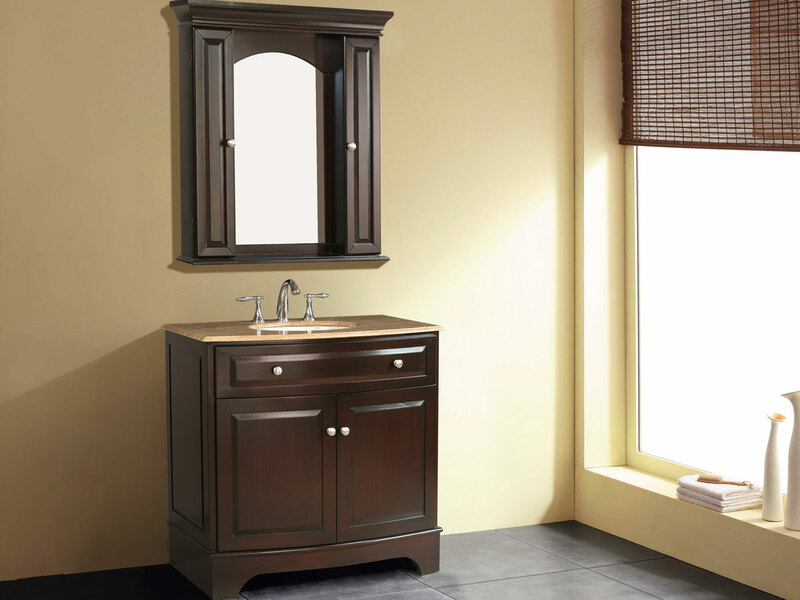 Alluringly attractive, the 36" Hoover Single Bath Vanity is a stylish addition to your home that is both useful and compact. 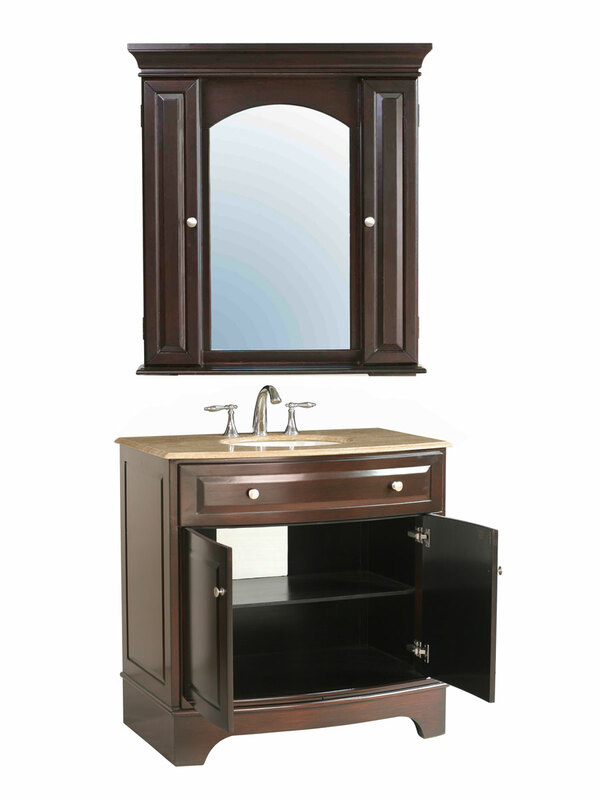 With its splendid Dark Cherry finish, this vanity is simple enough to adapt to any kind of home or decor. 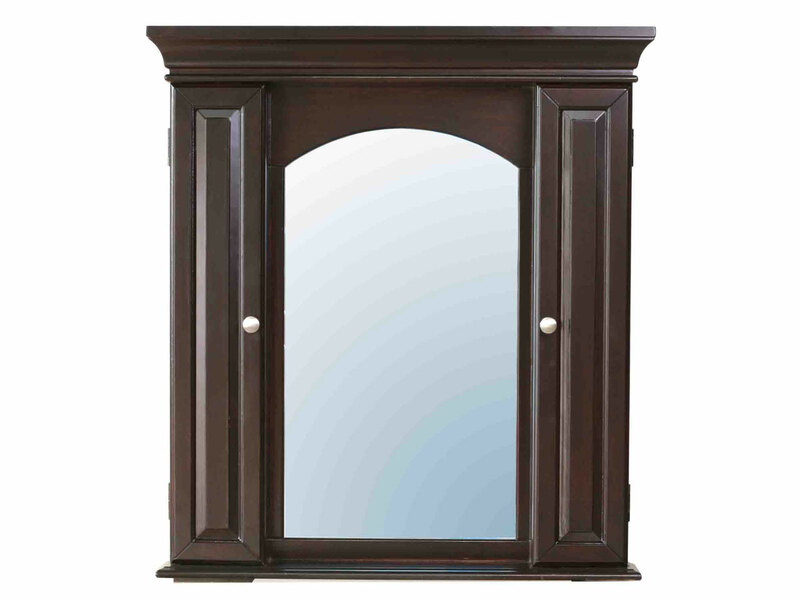 The matching mirror is framed by two small cabinets and an open rack to add a classic look that is mirrored by the two-door cabinet of this vanity. 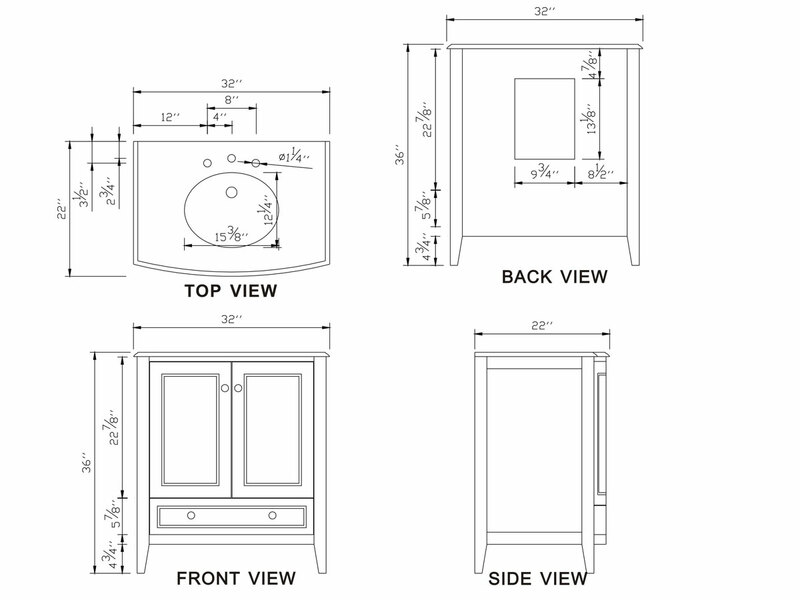 With two broad doors accented by shiny semi-circular knobs, you'll love how it will look in your bathroom. 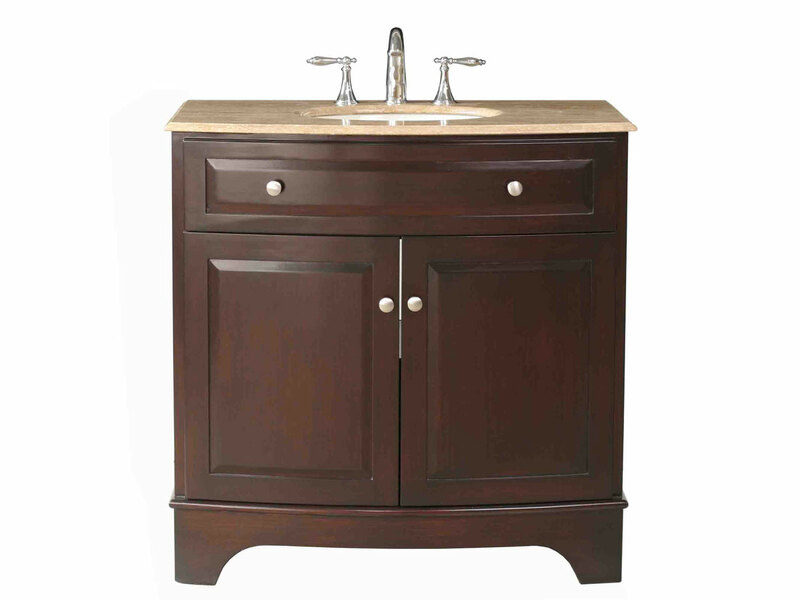 Its travertine top gives it a splash of bright colors for an all-around beautiful vanity that can be both modern and traditional.